Sunshine Landscapes can design and build beautiful fencing for your yard. 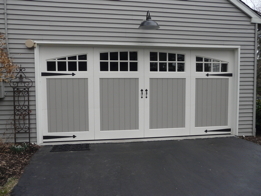 We can also give your house a facelift by adding custom garage doors. 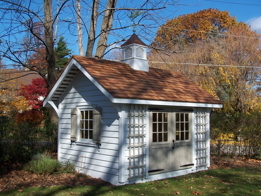 Need a shed? 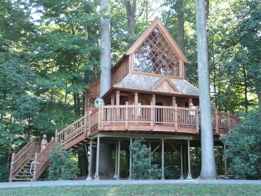 Would your kids love a tree fort? Dreaming of a pergola? Call Sunshine Landscapes for a consultation! 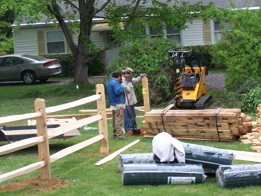 We also do shed pads and playground pads, install playground mulch, and build railroad tie walls.